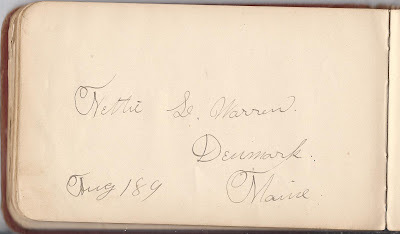 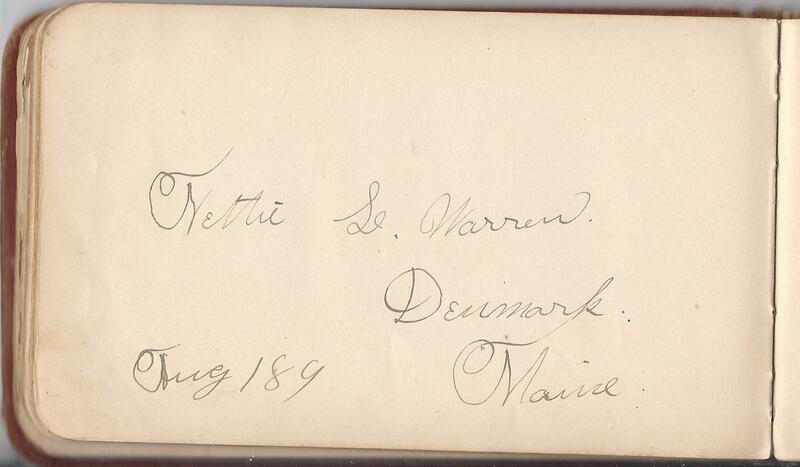 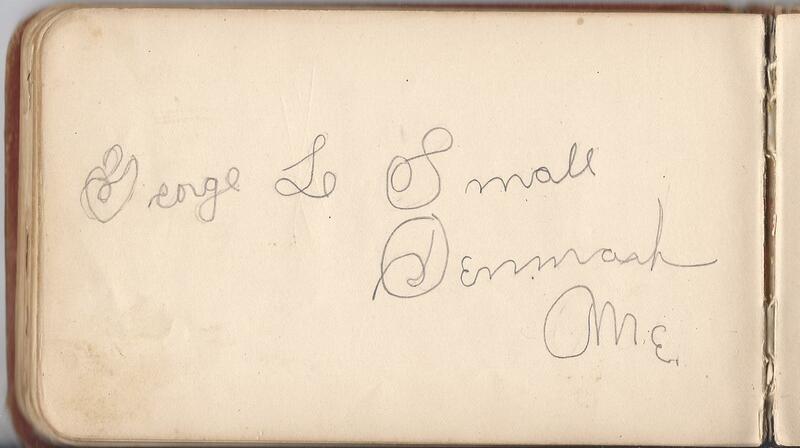 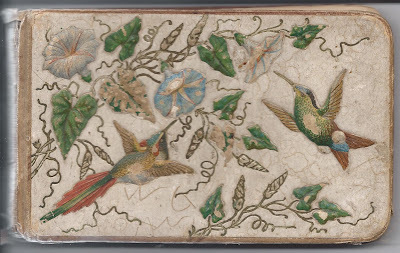 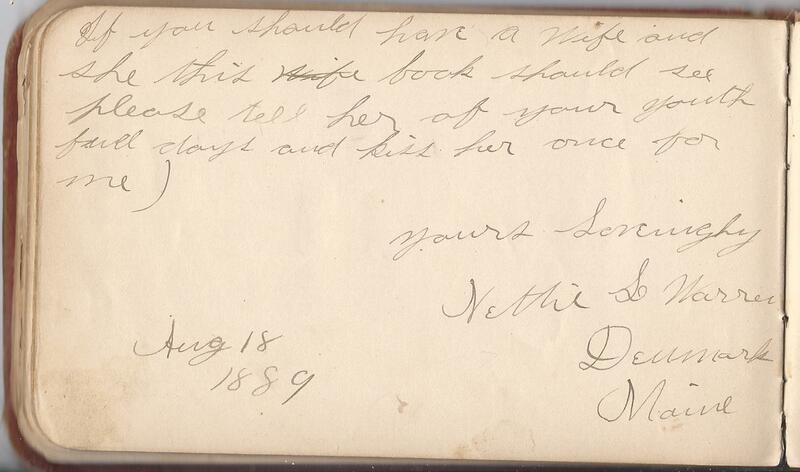 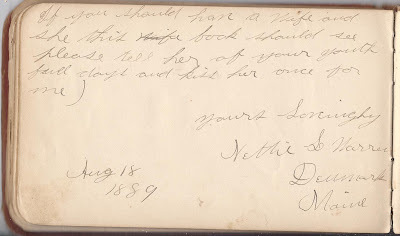 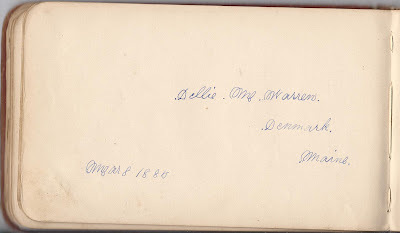 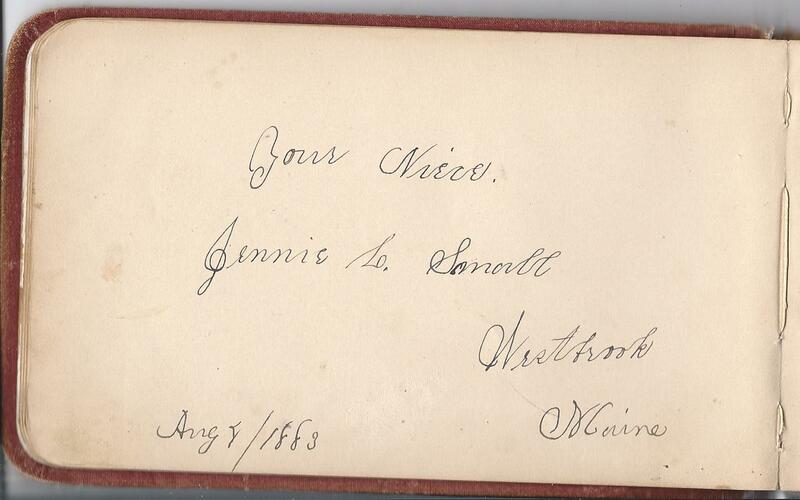 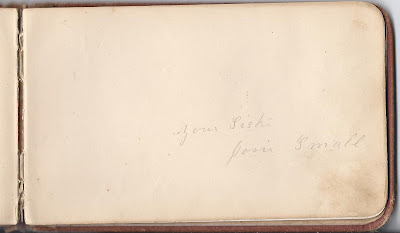 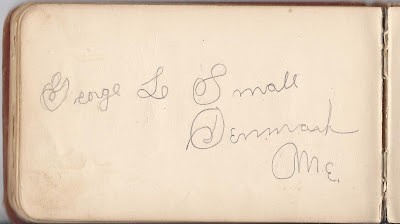 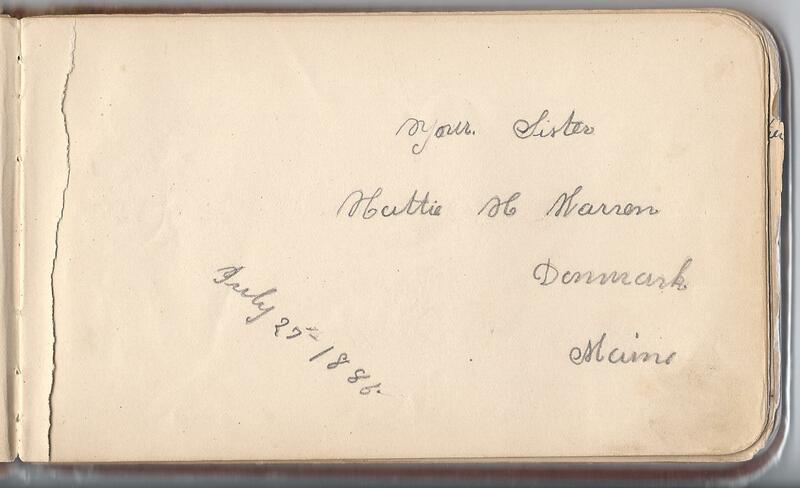 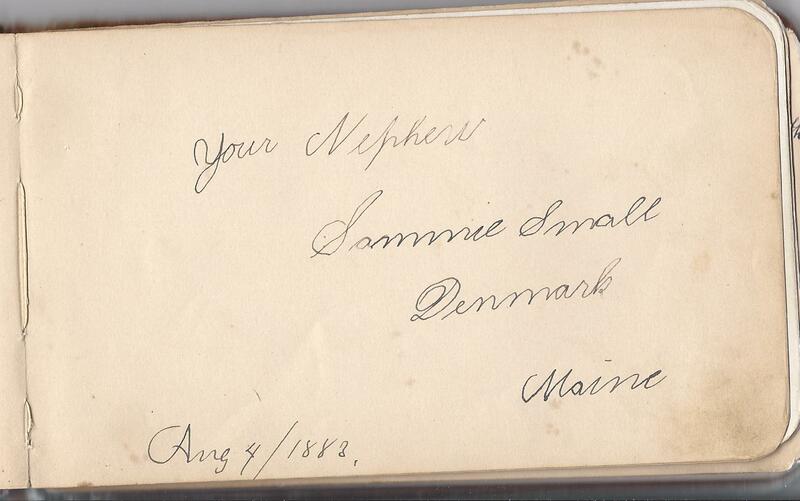 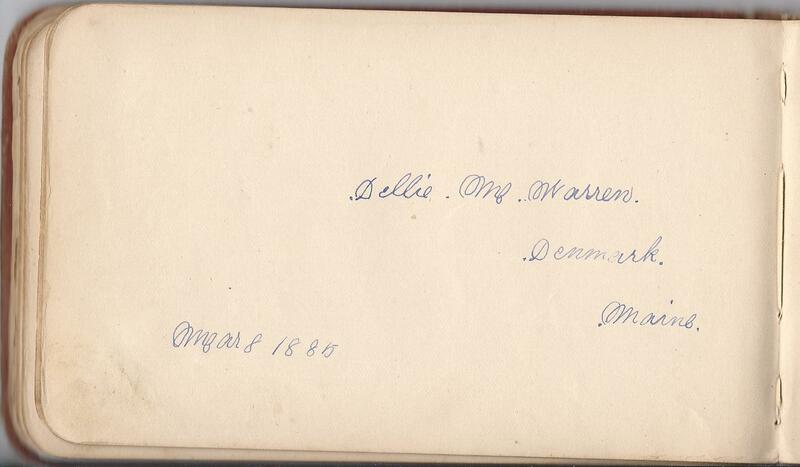 1880s autograph album of Alwilda Gertrude Warren of Denmark, Maine. 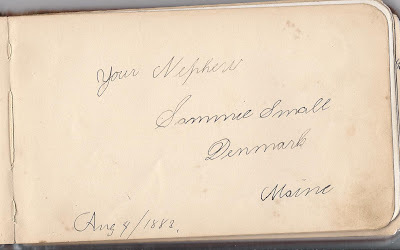 Alwilda was born about 1869 at Denmark, Maine, the daughter of Gilbert and Elvira Ann (Messer) Warren, born in Denmark, Maine, and Dracut, Massachusetts respectively. Her paternal grandparents were Isaac and Betsey (Quimby) Warren. 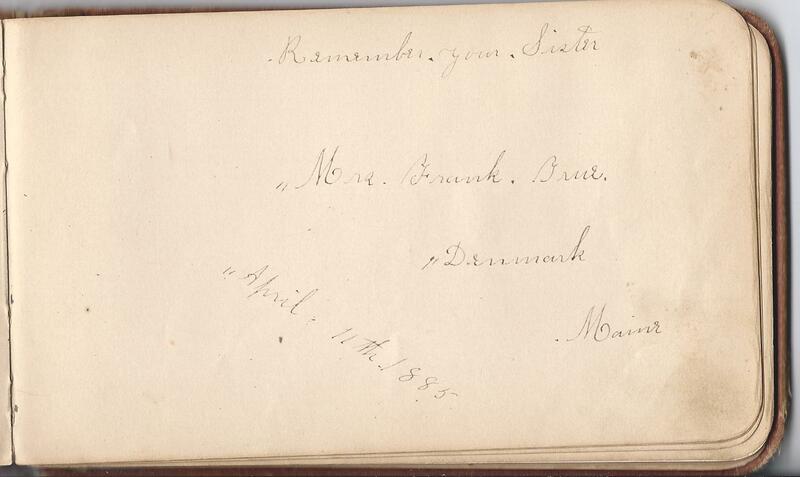 I don't have the names of Elvira Ann Messer's parents, but I believe she had a brother named John A. Messer, who enlisted from Dracut to serve in the Civil War. 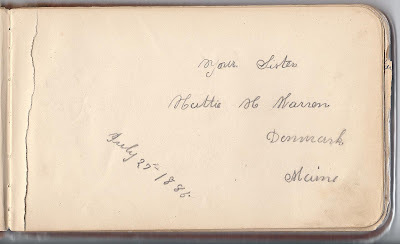 John A. Messer had a son Herbert Warren Messer. 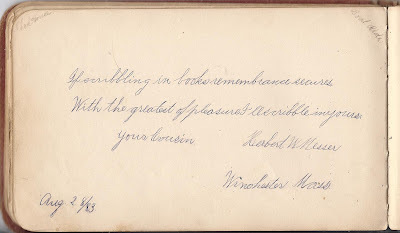 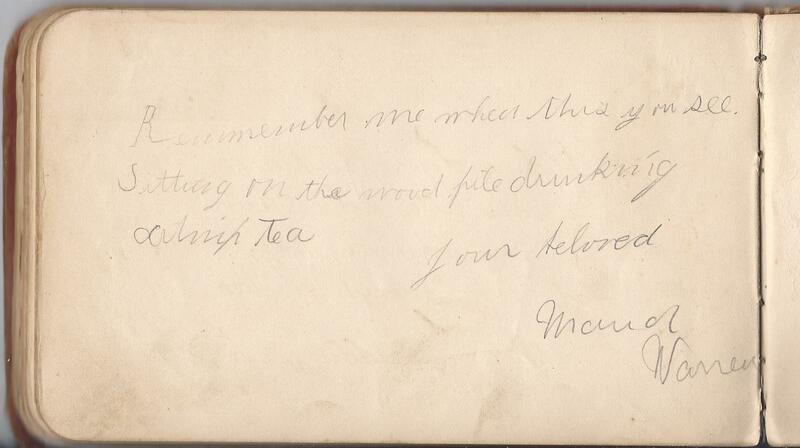 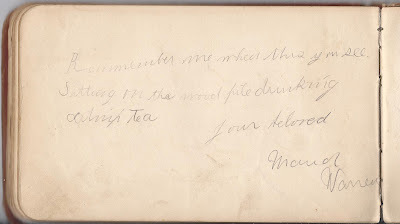 One of the pages in the album is signed by a Herbert W. Messer of Winchester, Massachusetts, who described himself as Alwilda's cousin. 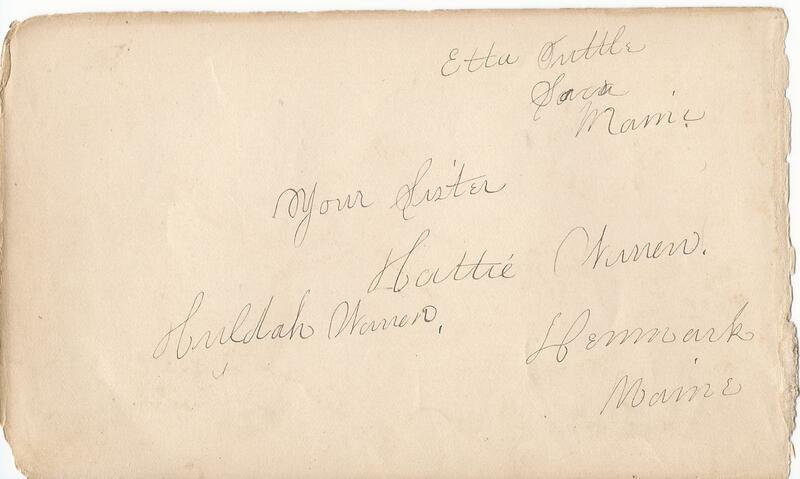 Several of Alwilda's sisters and a brother signed pages. 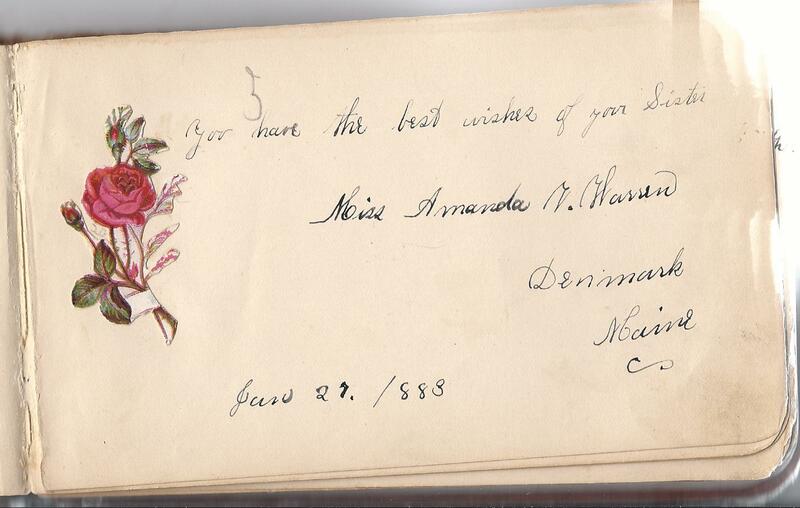 Alwilda had two others sisters: Virginia A., born about 1867; and Mary M. born about 1878. 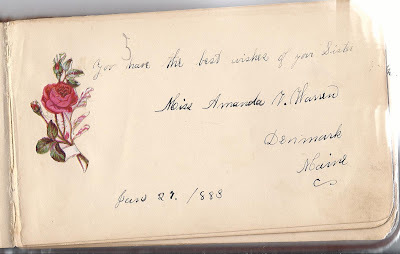 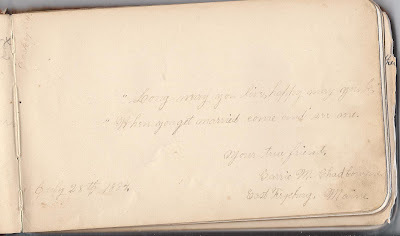 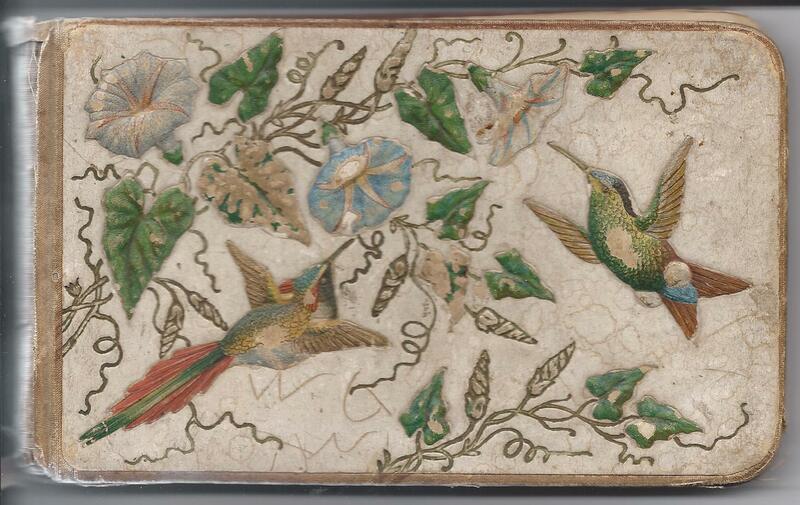 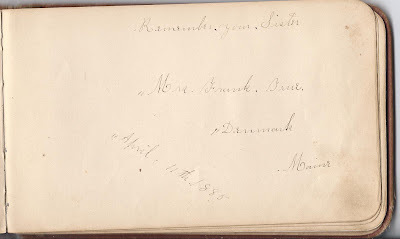 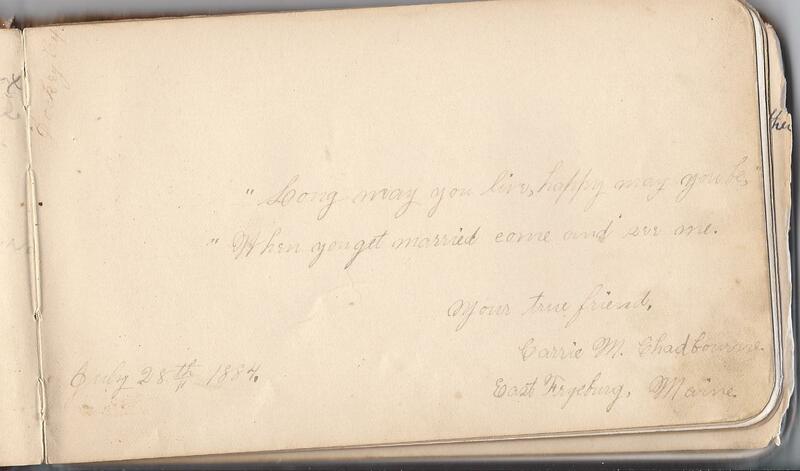 I wonder if Virginia's middle initial was Amanda; if so, there is a page, below, signed by an Amanda Warren, who indicates she was Alwilda's sister. 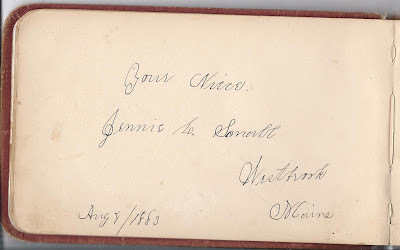 I can't quite make out her middle initial, but it's possibly a "V". 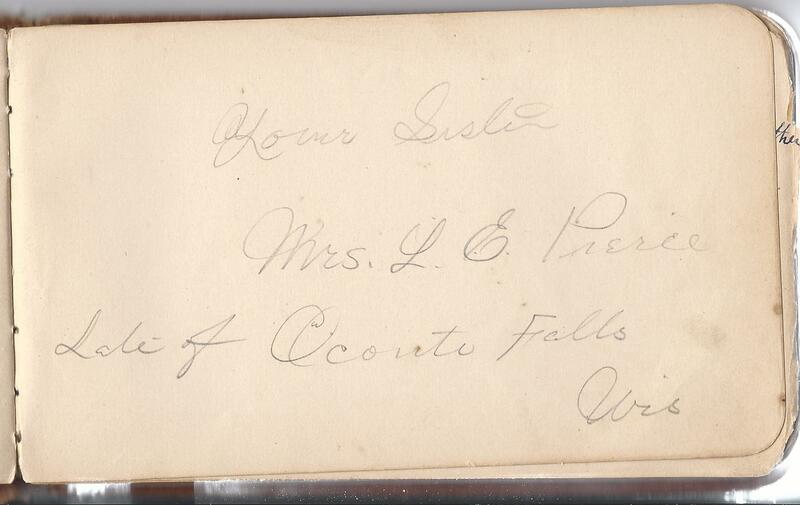 Or perhaps one of Alwilda's other sisters was married more than once. 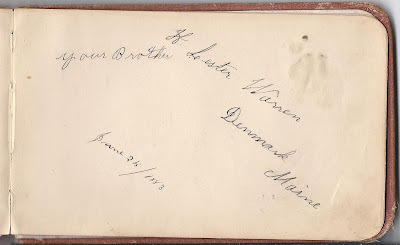 For more information on Alwilda Gertrude Warren and to see scans of all the pages in her autograph album, see its page in the Artifacts/Heirlooms area of the Maine & Maritime Canada Genealogy Network. 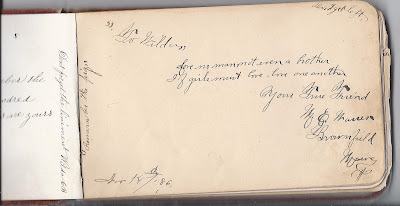 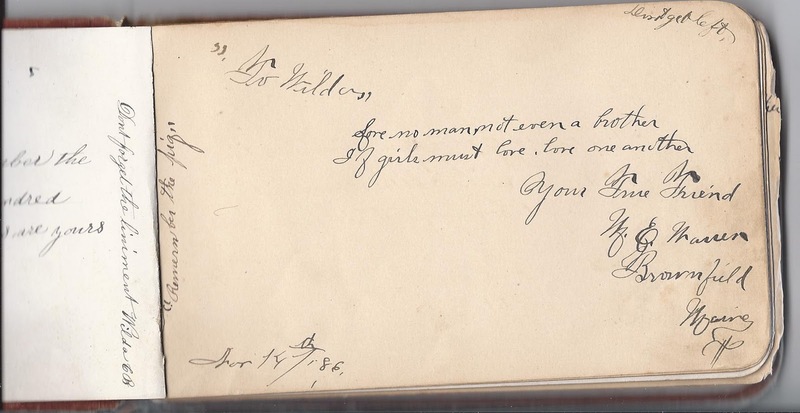 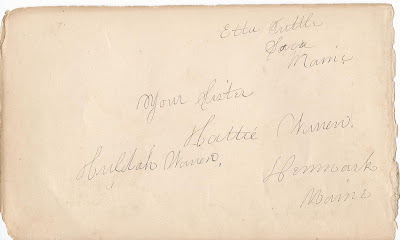 If you have any corrections, additions or insights regarding the Alwilda Gertrude Warren and her family, or regarding any of the other signers in the autograph album, please leave a comment or contact me directly.